Are you worried about how a Termite Barrier Treatment may affect the entrance of your home? 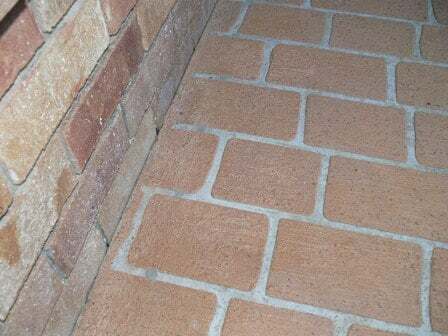 Sometimes bricks or tiles cannot be removed prior to the installation of the barrier. At these times we have to drill through them. 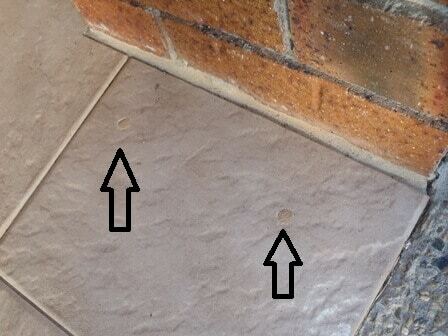 Most termite barrier installers use plastic plugs which are easily detected and disrupt the tiles. The following photos shows what major difference a proper colour matched grout can make. Here you can see what the use of plastic plugs looks like. They disrupt the shape and colour of the tiles, even when colour matched! This is a close up on what the plastic plugs look like. They stand out of the tiles. Or you can choose our expertise which will give you these beautiful drill holes! 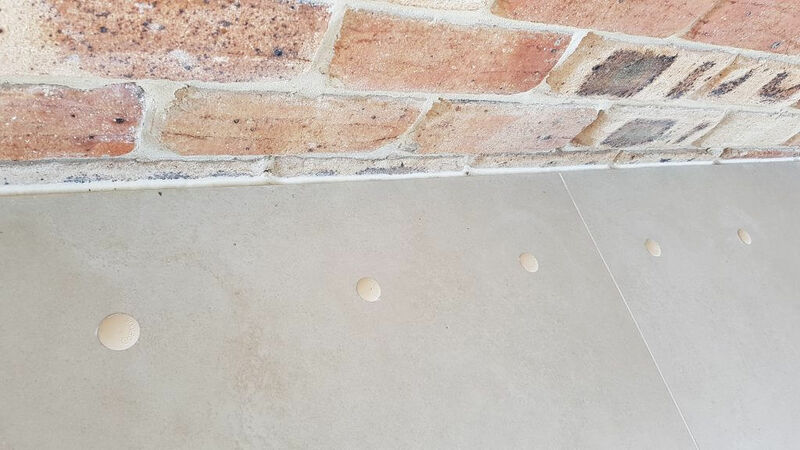 Do you have tiles, concrete or any sort of paving which you are worried may be damaged by a careless termite barrier installation? 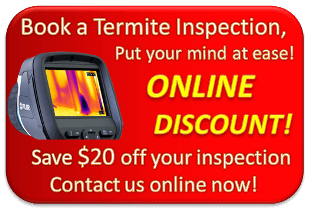 With great care and passion Termite Guys Brisbane will be able to help you out. We specialise on inconspicuous drilling holes for our Barrier Treatments. We take great pride in providing a service which will protect your home with as few signs as possible of the treatment. Over the years Termite Guys Brisbane have perfected our techniques to match colours and structure. 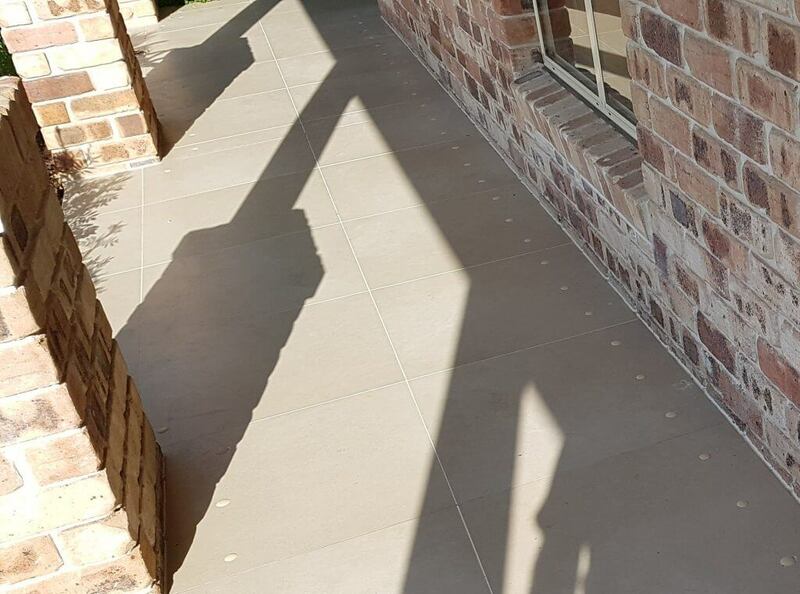 We offer a high quality non-repellent barrier treatment all around the premises of your home without any substantial traces left behind. 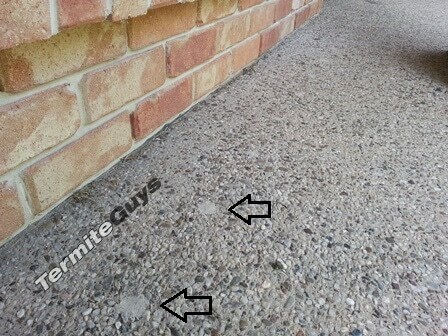 Termite Guys Brisbane also offers Termidor HE (as in High Efficiency). Termidor HE has a new formula and can be drilled up to 450 mm apart compared to Termidor SC (as in Suspended Concentrate) which needs to be drilled 200 mm apart at the most. 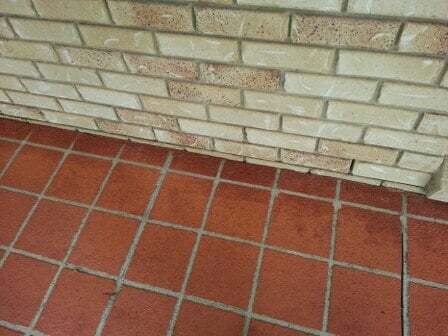 Where you have bigger tiles this can make a major difference as Termidor HE can be be drilled in the grout lines rather than in the middle of the tiles! You can find more information here. Here you can see how we have matched the grout in the seals to the surrounding. The creases are grey and the centre of the brick is in a dark orange. 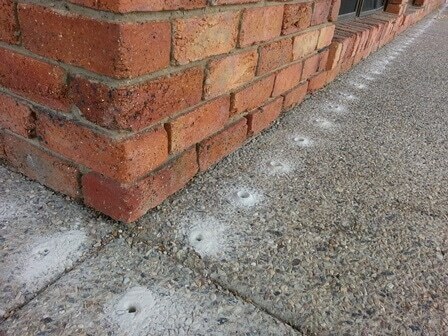 This photo shows the drill holes before being filled in. 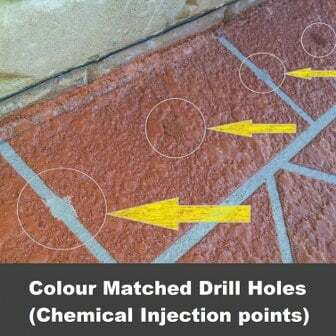 Colour matched drill holes are hard to detect! 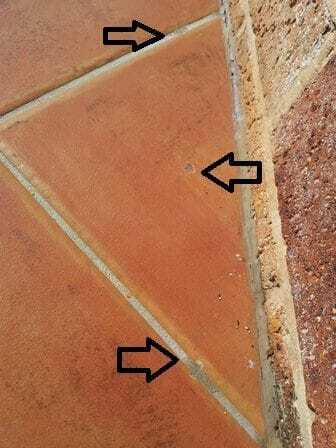 Whenever possible we will drill between the tiles or bricks, as we did in this case. Can you see the drill holes? We never compromise with the quality of the barrier. But we do match the colour of the drill hole to the tile! Drill holes in the grout lines are hard to see. Are you interested in a close to flawless facade, but no termites?